Diversity is not enough without inclusion and empowerment. Leaders must actively create environments where diverse people and perspectives are included and empowered, if diversity is to be more than a box to check off. It takes courage to lead the shift from diversity to inclusion. 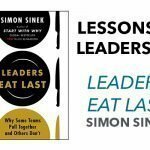 Empowering people and including diverse perspectives means that leaders open themselves up to being challenged. But inclusion is the fertile ground where diverse people can authentically (and without fear) thrive and bring the best of themselves to an organization. How can we impact organizational culture to attract talent and inspire investment and engagement? How can we create these collaborative environments without pushing our employees past compromise? 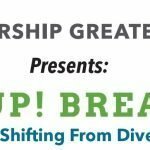 How do we hold ourselves and leadership accountable for ensuring that diverse perspectives are heard and valued? How do we courageously recognize and address impediments to creating inclusive environments? Let’s spark this conversation together at the next Wake Up! Breakfast: Engaged Climate: Shifting from Diversity to Inclusion on Wednesday, May 8. To register or to learn more, link here. To develop, connect and inspire diverse leaders to build strong and vibrant communities. I consent to Leadership Greater Hartford collecting my details through this form.